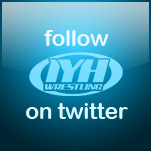 Matt Cappotelli was the guest this week on www.inyourheadonline.com with your hosts Jack and OneInchBiceps. 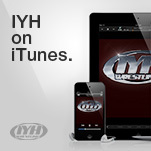 IYH can be heard live every Wednesday at 6:00 PM Eastern, and all our archived interviews free at http://www.inyourheadonline.com. Matt comes on and talks about going down to the OVW tapings. He talks about some of the OVW standout guys. Bruce domino -- Untouchables with the greaser gimmick is a favorite. Jack wants to know if it would work. Matt thinks it could, but maybe not as well on Smackdown -- which is more pure wrestling and not as gimmick driven. Matt thinks that ECW helps out debut new guys on tv. . . it?s a new brand with a new roster. . . guys that maybe never had a chance to wrestle on tv get a shot. Matt states that he enjoys ECW because it?s different and goes on to say that, when he was growing up, he didn?t get the original ECW in his area. He saw some tapings and enjoyed it, but wasn?t an old-school fan. Matt keeps busy doing some speaking and youth groups in his spare times. . . some interviews as well. He works on his site and does whatever he can to keep busy while working on his career. He?s feeling great as far as his health is concerned and does want to return to wrestling in some form or another. Matt describes his audition tape for tough enough. He talked about how he was playing football in college at the time. He grabbed his roommate and went into the locker room and cut a few promos. Did some agility exhibitions and tried to show his athleticism as well as his promo abilities. Jack asks if he was able to see any other audition tapes. He didn?t see any of the TV contestants tapes, but saw this other guy?s tape where he did some awesome impressions (no word on if the guy was a good wrestler). He then discussed how it seems surprising that no one has made a DVD of all the tryout vids -- could be funny. Matt talks about getting into the finals and going to LA and how he was really excited to receive the call to do the show. Matt talks about how Savage, Steamboat, and Rick Rude were big favorites as a child, but he later got into Hogan and the Ultimate Warrior. Jack asks if he patterned his style after any of those guys. Matt talked about how he liked to take little things from wrestlers that entertain him and incorporate them into his style. He also talks about how it?s complimentary to him that he?s compared to Flyin? Brian Pillman. John asks a board question regarding who is the most opposite of their gimmick in OVW. Matt says that Ryan Wilson/Titus/Jacob Duncan -- he?s doing a Slingblade. . .mountain man. . . cannibal schtick, but there?s really nothing from his personality in that character. The subject of previous wrestling training comes up and Matt states that college football and that related training was all he had prior to Tough Enough. He hadn?t had any backyard wrestling experience and wasn?t even aware of the normal routes into professional wrestling. He first heard of that from a friend. Matt thinks that the backyard wrestling thing is dangerous, but understands the motivation behind it. . . kids are passionate and give their all doing the thing they enjoy, but that it?s ultimately pretty dangerous. Jack talks about how Al Snow is a big ribber on the show. Matt talks about female wrestling fans and how there aren?t any to speak of -- he?s recently married. Jim Cornette is mentioned and Matt says he?s a genius and he was happy to work with him. . . as well as Paul Heyman. He says they?re like oil and water, though -- great concepts and ideas, but different ways of doing things. Jim was more traditional while Paul seemed to work to be edgier which are both good approaches, but maybe work for different audiences. Matt talks about how he wasn?t treated differently when he hit OVW due to the differences in pay grade (Matt received more since he was under contract from the Tough Enough series). He says he was maybe a bit more under the gun because he came in through a different route -- perceived maybe as an easier route. People were maybe a bit guarded because they wanted to make sure he was serious about being there. Matt talks about occasionally talking to Justin from Tough Enough. He?s lost contact with Jonah (he had maybe ran into some legal problems). That?s the extent of who he?s spoke with, basically. He?s watched a little TNA (which is referenced after the mention of the second wrestler). Bob Holley is brought up and Matt says he doesn?t really talk to him much. He says he thinks he understands why Bob acted the way he did (in Tough Enough), but that he doesn?t hold a grudge or anything. Matt goes on to say that Cornette and Heyman have been helpful with his careers. He also says that Tommy Dreamer was great as a talent coordinator for OVW. He says that Conway, Dinsmore, Bashem(s). . . all were great help. Hugh Morris/Bill Dumott was mentioned and how he had changed gimmicks midway through knowing him. He was a really military style trainer -- lots of crunches/squats. . . while Al Snow was more of a thinking man?s trainer. He compliments all the different trainers and their styles, however. Jack asks about how if anyone was there that basically didn?t even want to be a wrestler. Matt says that a lot of them are weeded out. He also says that wrestling fans maybe have an edge when they try to wrestle because they ?get it? a bit more than other people. He talks about how he also didn?t tell his family he was going to get into wrestling until he had to go to Chicago to start. He mentions how his dad was a big fan of the heels. He liked Rick Rude, Dibiase, Rick Martel. . . and how it?d be likely that his dad would be booing him at shows now. Jack asks how he thinks Matt does in promos. He says he likes them, but that he doesn?t like them to be scripted fully. He likes having an outline where he can improvise a bit. Matt wasn?t surprised when they let Daniel Puter go. He was getting a ton of money without giving them much to show for it. Matt IS happy to see some of the folks from OVW making it, though. He was happy to see the Spirit Squad get going and thinks that there?re a lot of great guys that deserve credit/airtime. He also mentions liking the Spirit Squad gimmick. Jack was talking about how people thought the Boogie Man was a strange gimmick in OVW. Matt jokes about how maybe he?s one of the people that was the CLOSEST to their gimmick. Matt tells a funny story about Boogie Man being down in Louisville staying in this weekly rent room and he left his liver and worms in this room while he went on a little trip. He returned. . . to find that it had become a foul mess. Matt talks about how the Boogie Man came up with his gimmick and likely has a lot of wild stuff coming. Matt?s happy to see Nitro getting a good push and then goes on about how when he was coming up into the WWE a gimmick that was proposed was to have him take part in a reality tag team with Mike ?The Miz?. . . maybe call it reality check. . . but it never really panned out. Jack asked if he ever thought of another name in wrestling. . . anything other than his own. Matt says it?s one of the toughest parts in wrestling. . . coming up with a character that is ?you?. Jack asked if wrestling in Training was a lot different than wrestling for TV. Matt said that it?s a little different in knowing that there?re time cues that you have to abide by. Jack and Matt round out the interview with a quick plug for the sites and Matt wanted to thank his fans for their support. He said it?s nice when people that message him that are outside of wrestling -- people that aren?t even maybe fans. Matt found out about his diagnosis in the morning of TV and he said his piece during the taping that night. He got to the taping a little early, sort of came in through a back door and said his piece. They went to break after that. VISIT THESE SITES! THEY?RE GOOD FOR YOU! To hear the 45 minute Cappotelli interview please visit http://www.inyourheadonline.com. And join us next week at http://www.inyourheadonline.com starting at 6:00 PM Eastern. ICON, based in Logan, Utah Logan is a city in Cache County, Utah, in the United States. Finally, according to the nonpartisan, this reform is the largest deficit reduction measure in decades. Generally 30% is lost within the first 6 months of surgery while in a year time, the most successful surgeries will help you lose at least 75% of the weight gained.